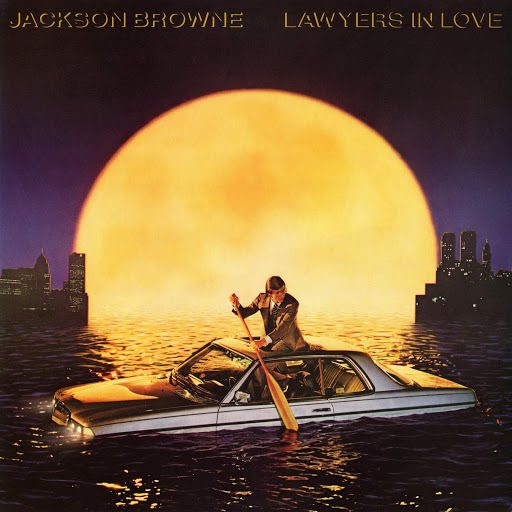 Song of the day: Jackson Browne – "Lawyers In Love"
This week’s song is the bouncy “You’re A Friend Of Mine” by Clarence Clemons and Jackson Browne, from smack bang in the middle of the ’80s. I remember it from when it climbed up the charts in Australia (i.e., the country I live in). I could simply sum up this week’s instalment of Educating Peter by saying “This song is bouncy” and leave it at that. But I made a solemn vow to myself to listen to the songs Michael sends me, analyse them as lazily best I can, and tell Michael why I loathe dislike tolerate them. 0:05-0:25 – But now the song is in full bounce mode, and as far as I remember it remains so for the rest of the song. Wow. As I’m listening to this introduction I’m thinking: “This is so ’80s. It’s so… generic.” It reminds me not just of every song in 1985, but of every US Top 40 song released in the 1980s. It also reminds me of pastel colours, shoulder pads, perms etc. etc. 0:35-0:47 – Now here’s the usually plaintive Jackson Browne, doing his best to be a cheerful partner in a vocal duet. 0:47-0:51 – This bit, where the angelic backing singers sing “Oh, you can depend on me”, is my favourite part of the song. I think it’s gorgeous. 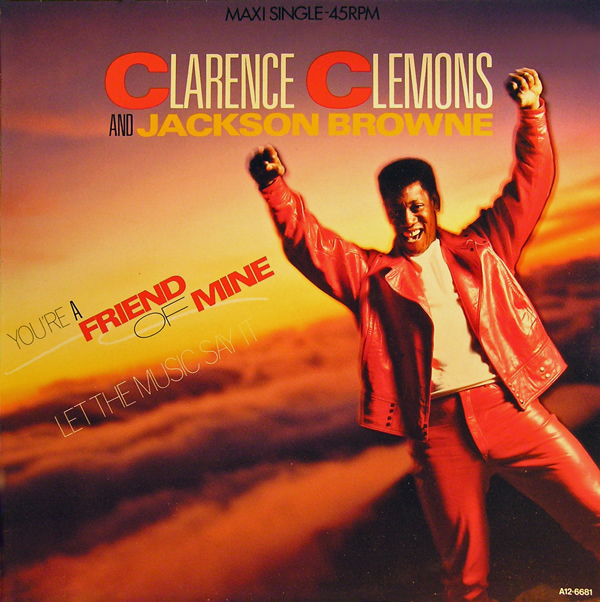 1:12-1:22 – Clarence and Jackson together: “Years may come and go / Here’s one thing I know”. I like that bit. Production Query: Who turned up the bass guitar here? 1:22-1:32 – This, I think, is the hook of the chorus. “All my life, you’re a friend of mine.” It’s catchy, and it has the phrase “You’re a friend of mine” in it. It’s gotta be the chorus hook. 1:32-1:42 – Even when he’s singing about how great his friend is, Jackson still sound so melancholy. Cheer up, Jackson – you have a great friend! 2:08-2:14 – Roar, Clarence, roar! 2:14-2:20 – Be melancholy, Jackson, be melancholy! 2:20-2:40 – Yep. I like the chorus. Although the more I’m hearing that drum beat, the more I’m thinking of Wham!’s “Wake Me Up Before You Go-Go”. 3:02-3:27 – Love those voices. And I’m now used to the shouting, and Clarence bellowing, and the beat reminding me of “Wake Me Up Before You Go-Go”. 3:27-3:57 – Still like the chorus. But I still think the whole song is terribly generic. By the way, at 3:46 there’s an unbelievably weird falsetto note from Jackson Browne. (It sounds more like he’s being strangled, rather than singing a note.) I don’t know what possessed Jackson to sing that there, or the producer deciding to keep that in. It sure is weird. And I’m hoping Jackson doesn’t try to sing falsetto again. Anywhere. 3:57-4:20 – The fade-out, accompanied by Clarence playing another solo. Okey dokey. As for what I thought of “You’re A Friend Of Mine” as a song from the 1980s that Michael suggested, all I can say is… it certainly was.